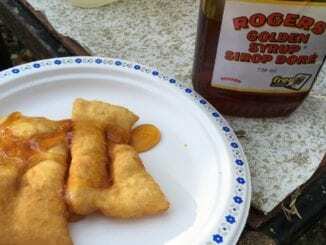 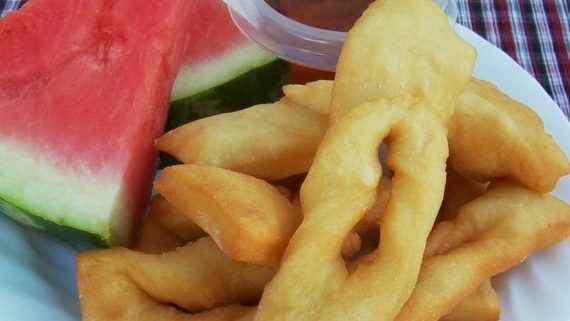 Mennonite fried dough, or roll kuchen as they call it, is traditionally served with watermelon and corn syrup, though certain sects of Mennonites offer variations on this tradition, which led to the confusion on Sunday. 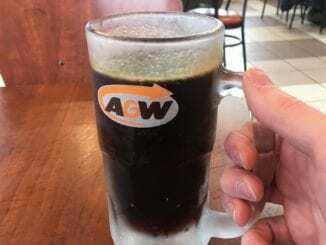 The church has initiated a task force to look into the issue and uncover who is to blame for the neglect of the corn syrup. The committee will also come up with a list of recommendations to make sure a tragedy like this never happens again.